It's been a month of romance and birthday celebrations for Love Cake this month. 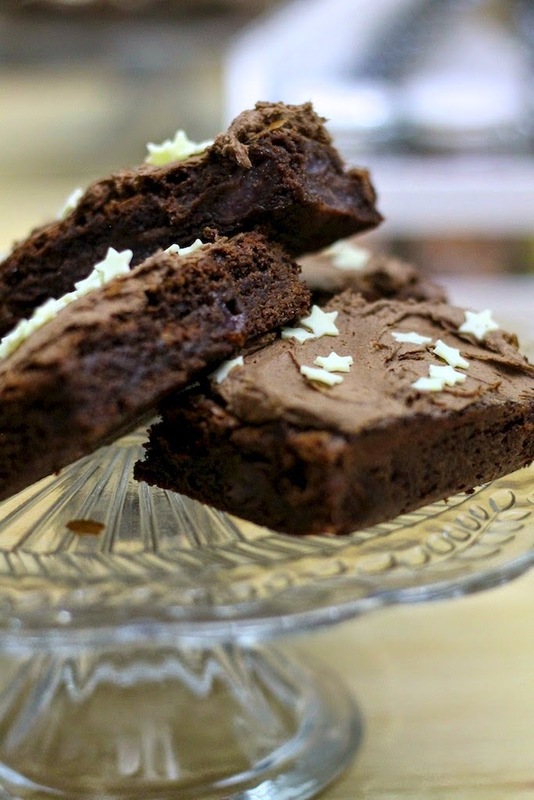 Cupid's arrow has been aimed firmly in the direction of the kitchen and baked us up a treat. Let's see what everyone has been making for Valentine's Day and Love Cake's first birthday. Straight in with her Chocolate Layer Cakes for Valentine's Sharing – gluten free was Kate from The Gluten Free Alchemist. These are a triple layer delight complete with a red velvet layer with a hint of chocolate beetroot. 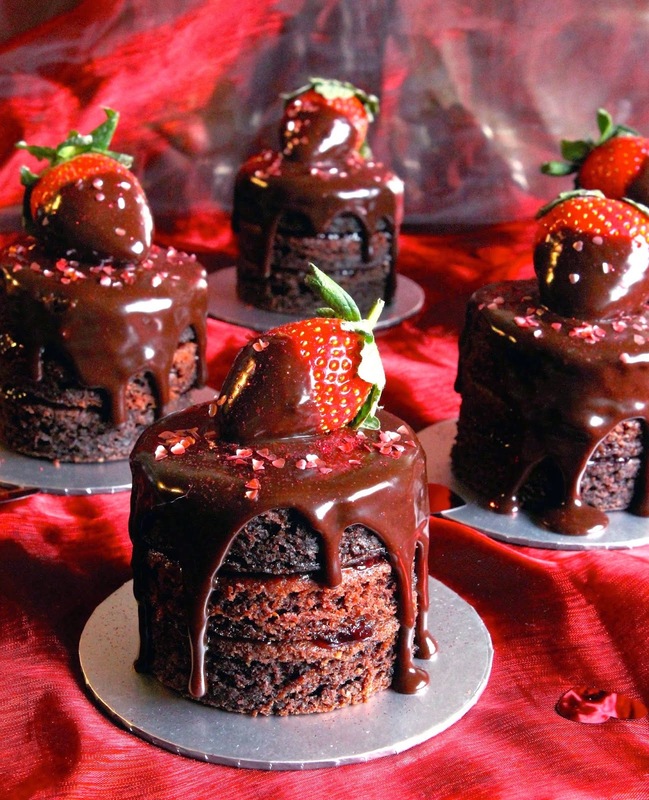 To top it all off there's a generous covering of chocolate ganache with strawberries and sprinkles. While we have been freezing in the UK Johanna from Green Gourmet Giraffe has been doing a different kind of freezing in Australia. A mega birthday celebration for her mum resulted in the need for some desserts. One of them was her Berry ricotta cheesecake. It had puréed berries in the mix and a selection on top to finish it off. Can you call something a cake if it is made out of ice cream? If Nigella says so then you can! Caroline at Caroline Makes... needed something that was both a dessert and a cake so her take on Nigella's Ice Cream Cake with Butterscotch Sauce was created. It's a combination of ice cream, chocolate and biscuits all covered in a homemade butterscotch sauce. Have you ever made a wish list of ingredients that you would like in a cake? Well Ros of The more than occasional baker started plotting with her colleague and the Banana, walnut and chocolate chip cake with maple syrup cream cheese frosting was invented! Did it work? 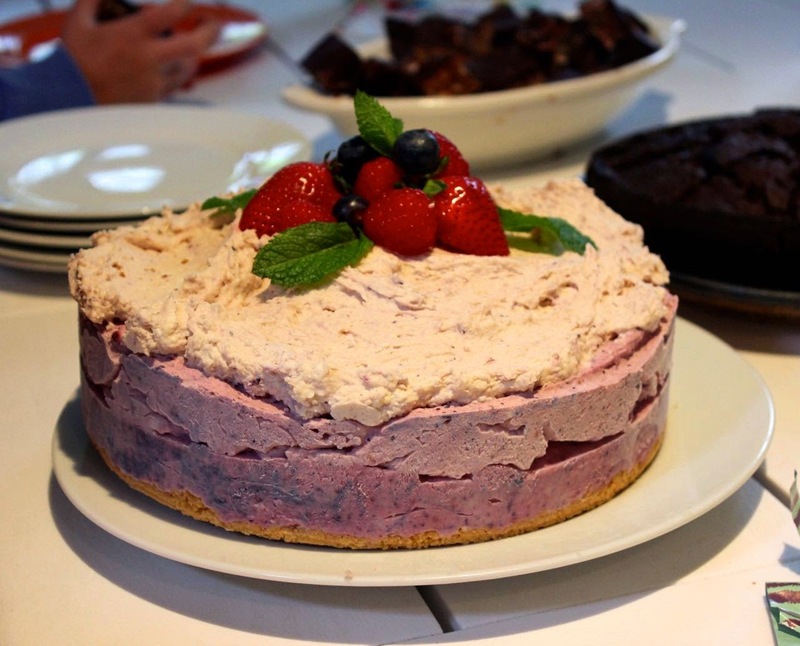 By heck it did and Ros described it as 'the best cake I've eaten in a while'. 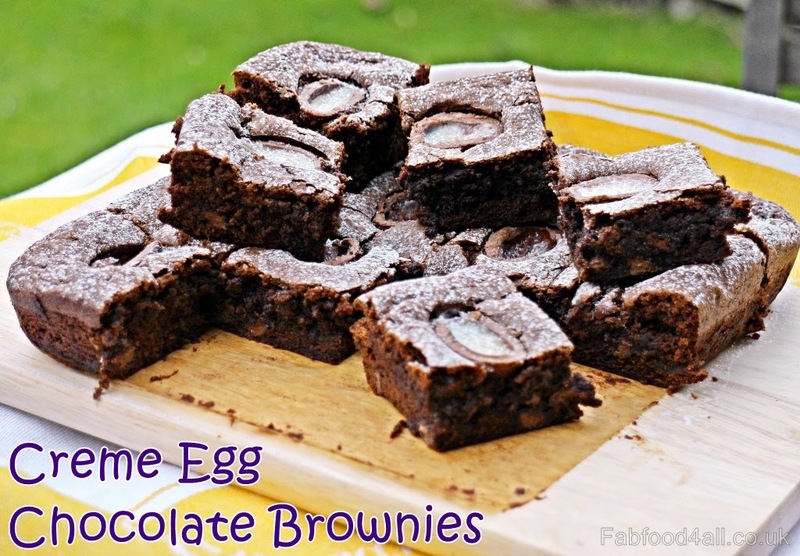 Next up is the first brownie of the month because what's not to love about brownies? 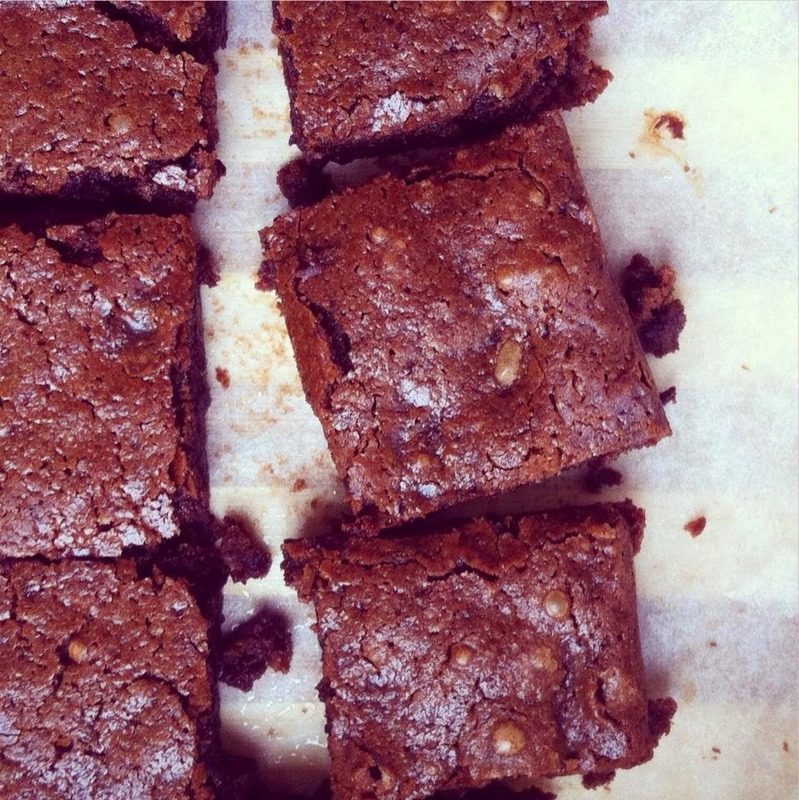 Ema of De Tout Coeur Limousin was on a search for butter-free brownie recipe as she didn't have enough butter for her normal recipe. She came across a recipe for Chocolate fudge brownies that uses oil instead and is now completely sold on it. Cut a strawberry in half and you've got a heart and that makes them the perfect Valentine's fruit. 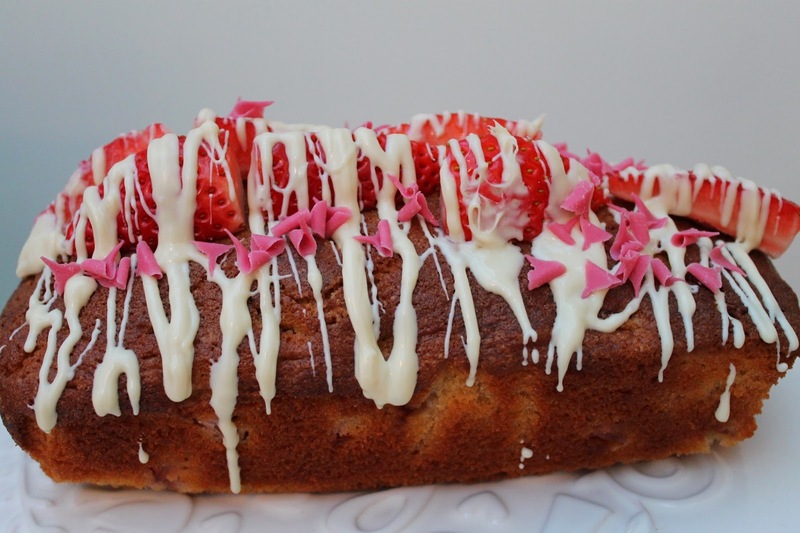 Lucy from bakingqueen74 decided to cut them up further and combine them with that other food of love to make a Strawberry Loaf Cake with White Chocolate Drizzle. There's even a bit of retro love with some Iced Gems shavings. 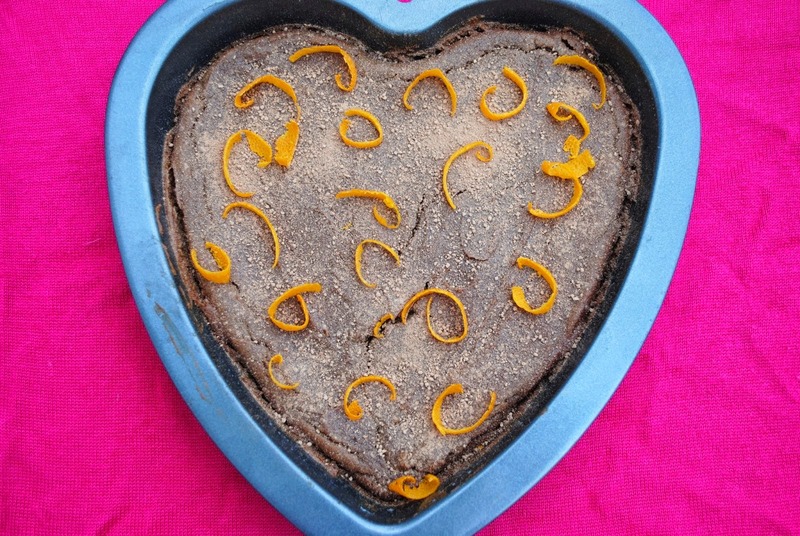 They say that the way to a man's heart is through his stomach so Corina from Searching for Spice decided to make a cake for her husband for Valentine's. With no apple, dried fruit or marzipan allowed she went for this Chocolate and Strawberry Valentines Heart Cake. It's a double layer pile of dark chocolate ganache covered cake topped with a white chocolate ganache covered cake all held together with chocolate buttercream. 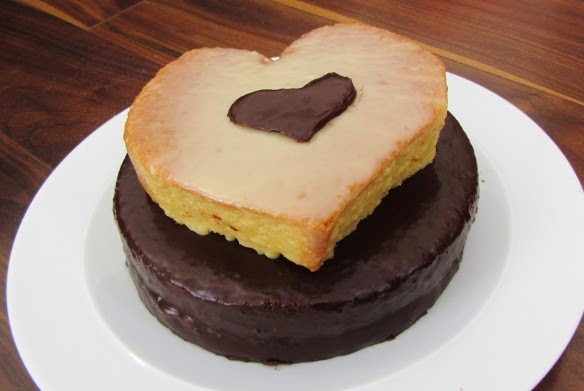 If you're a bit shy about showing your love then this Hidden Heart Cake from Kat at The Baking Explorer will be the one for you. On the outside it looks like a chocolate loaf cake with chocolate buttercream but once cut it reveals a perfect pink heart. It's well-known in food blogging circles that if you're after a recipe for cranberries then Jen's Food is the blog to head for. 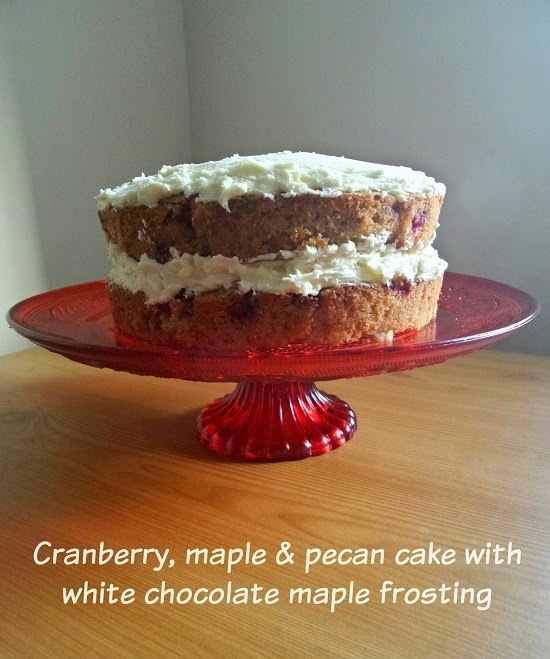 As it was Jen's birthday she decided to make herself a cake with some of her favourite ingredients to come up with Cranberry, maple and pecan cake with white chocolate maple frosting. Jen likes to keep a stash of cranberries in her freezer thus proving cranberries aren't just for Christmas. As we have already seen this month cake can make a simple but very indulgent and flavourful dessert. At Chardonnay and Samphire they have used Middle Eastern and Italian influences for their Flourless Chocolate Orange Cake. It is gluten free and and has some healthier substitutes in it such as coconut sugar and coconut oil for greasing. Every parent has had that panic of having to bake something for the next day to take to school but finding the cupboards a little bare. Camilla at Fab Food 4 All went searching through her kitchen stores to find the perfect ingredients for Creme Egg Chocolate Brownies. They turned out so well that she even had to buy the last slices for her son to take home! 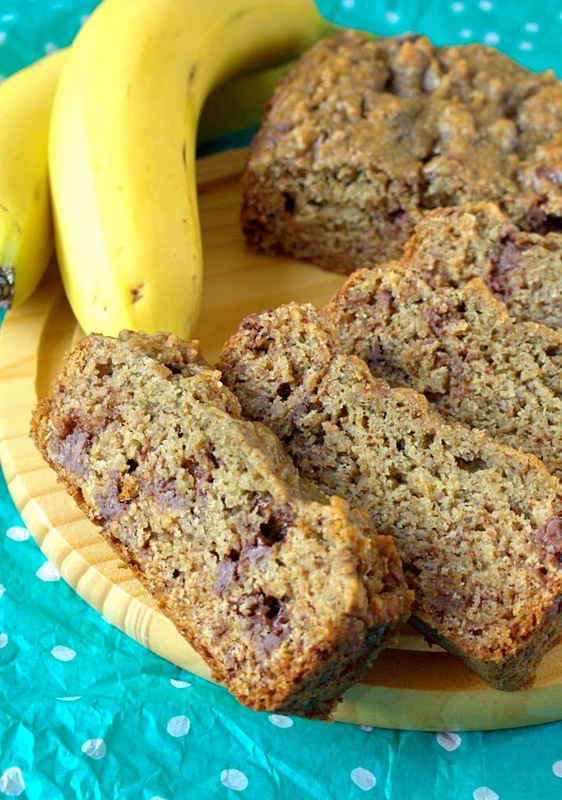 We all know that a good way of using overripe bananas is to make them into a cake. What do you do then when you want to make cake with yellow bananas? Laura at I'd much rather bake than... came up with a solution by roasting the bananas first for her Wholemeal Chocolate Chunk Roasted Banana Bread. With wholemeal flour, honey and cinnamon in it you can forgive a little bit of chocolate sneaking in. 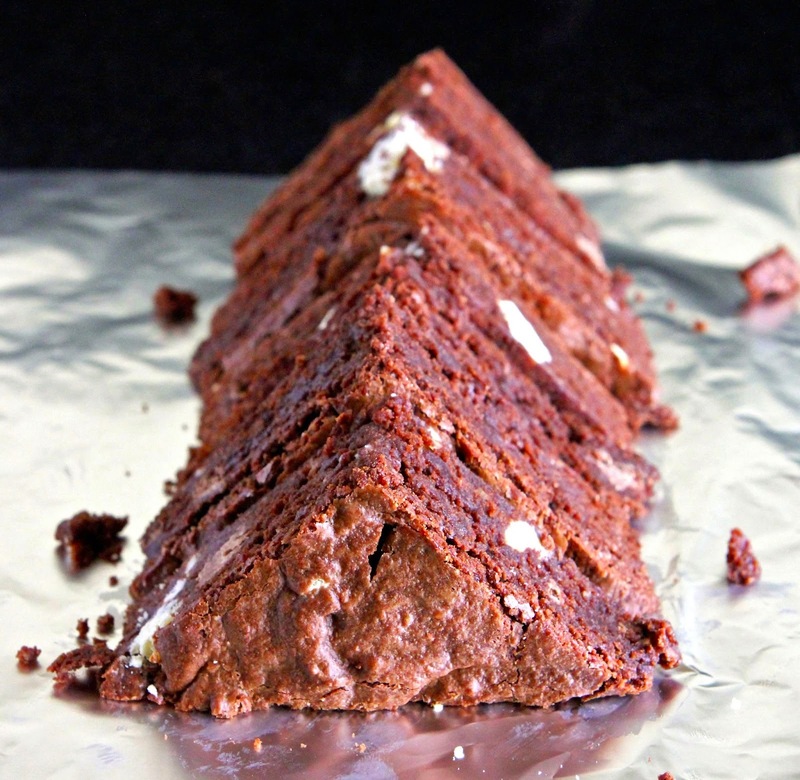 Brownies are meant to be totally indulgent but sometimes you just need something to cut through that richness. Kevin from The Crafty Larder decided to put an opened tin of black cherries to good use to create his Black Forest Brownies. They are also topped with Kevin's special Black Forest frosting. You can put just about any chocolate bar into a brownie but only certain ones will stand out because of their flavour and texture. Kate at The Gluten Free Alchemist somehow managed not to scoff her bar of Toblerone to turn it into a gluten free Toblerone brownie. With its distinctive honey and almond nougat a Toblerone makes a wonderful addition to a brownie mix. 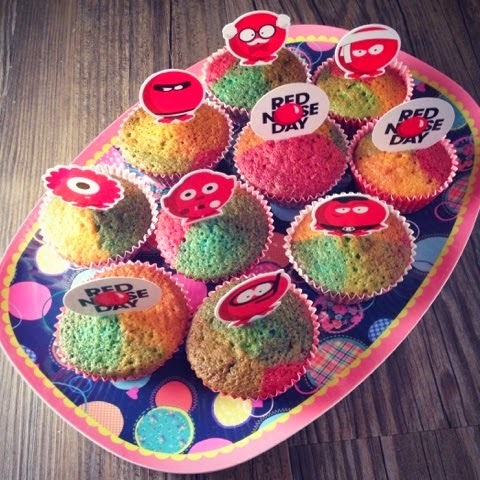 Claire at Foodie Quine has been showing her love for Comic Relief and their take on the Great British Bake Off. They made some stamped biscuits plus a tray of rainbow fairy cakes. Perfect for filling the tray at a charity cake sale. Choclette over at Chocolate Log Blog has also been celebrating this month – six fabulous years of her blog. 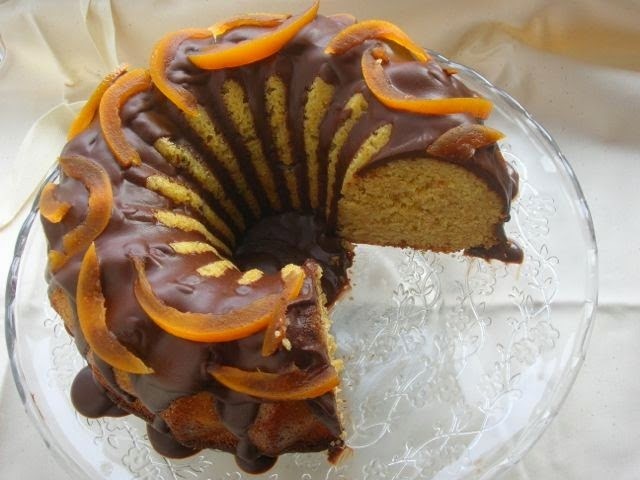 To mark this occasion she made a Grapefruit and Honey Almond Cake all topped off with of course a chocolate glaze flavoured with grapefruit and honey. With homemade candid grapefruit plus almonds and honey directly from Spain this made one beautiful birthday bundt cake. Thank you to everyone who has shared their love and birthdays around this month. 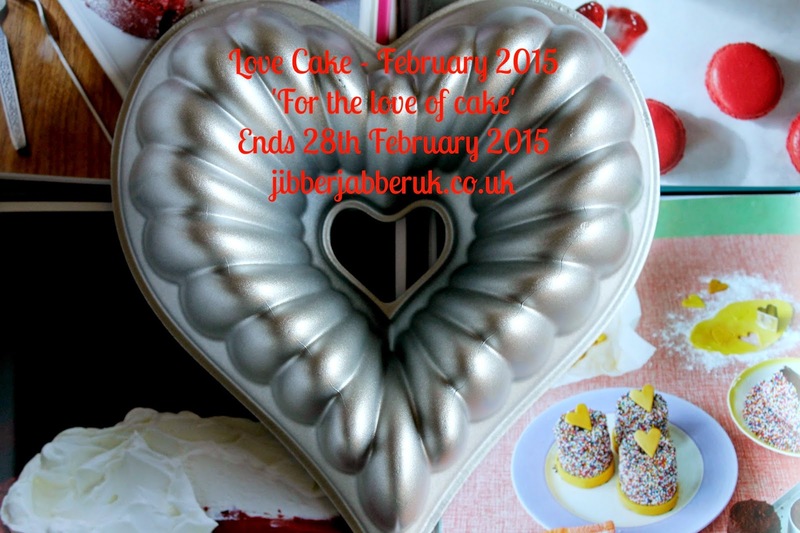 Due to the shortness of February the March Love Cake is now live so hop on over for this month's theme. Such a lovely and heart warming round up of deliciousness! beautiful cakes - interesting there are more hearts and chocolate than red - though you have made sure you added your splash of red with your lovely heart box! Lovely round up Ness. Thank you! I do love your heart-box cake!!! !